Helena Janeczek won the Strega Prize, Italy’s biggest literary prize, on Thursday night. The last time a woman won was in 2003, fifteen years ago. Janeczek, who was born and raised in Germany by a Polish family, writes passionately about history and how hard it is to pin down the truth. 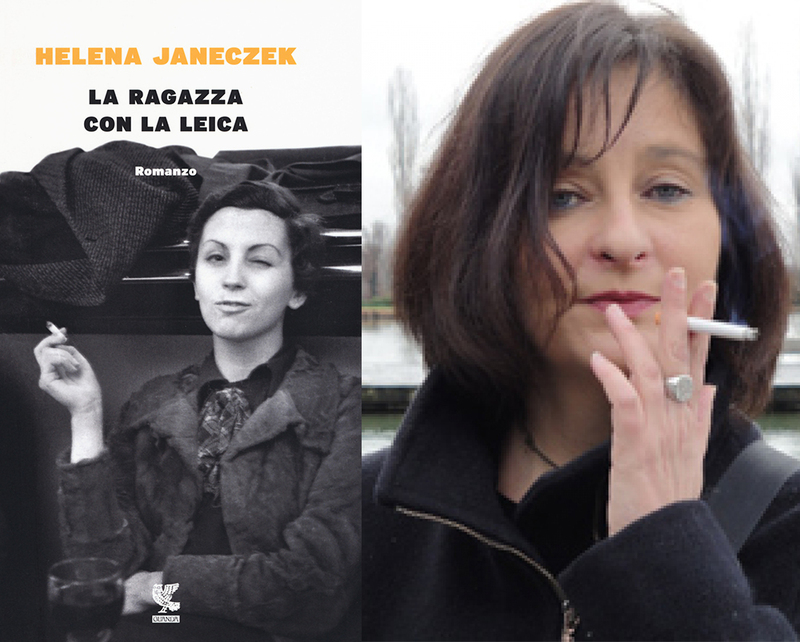 The book that won the prize, La ragazza con la Leica, is a work of nonfiction about Gerda Taro, the young woman photographer who died in the Spanish Civil War just before her twenty-seventh birthday. Women were well represented on this year’s long list and short list, and excitement brewed that a woman might win. Before the award ceremony, the feminist intellectual and author Loredana Lipperini wrote that voters shouldn’t treat this as a token #MeToo win. The day before the ceremony, I got on the phone with Janeczek, who was my favorite in the short list, and asked her if she felt that this year was going to be different. The Strega Prize is a unique spectacle whose biggest night takes place in a villa on the outskirts of Rome’s Villa Borghese. The bickering over the buffet and the whispers of gossip are peerless and the scene gives off vibes straight from Paolo Sorrentino’s hit La grande bellezza. This prize’s tradition is steeped in the literary dolce vita: conceived as World War II ended to reunite intellectuals in the capital, it is the product of a culture of salons. The jury comprises four hundred publishing people called the Amici della Domenica, Sunday Friends—and it has brought to light great books and great intrigue. The prize is so controversial that its founder, Maria Bellonci, herself a distinguished author of historical novels, called the prize La polveriera, the “powder keg,” and its current director, Stefano Petrocchi, wrote a novel about the prize under the same title. Its enemies consider it a place where big publishers play dirty, bluntly asking the Amici for their votes to make a book a best seller. The prize has been awarded to some of our best authors—Primo Levi, Goffredo Parise, Alberto Moravia, Cesare Pavese, Ennio Flaiano, Umberto Eco. And it keeps doing it now, with recent awards going to Walter Siti, Edoardo Albinati, and, among the Italian writers U.S. readers might know, Domenico Starnone, Edoardo Nesi, Nicola Lagioia (who won over Elena Ferrante), and the English PEN Translators Award winner Paolo Cognetti. Although it awarded greats like Elsa Morante, Natalia Ginzburg, Anna Maria Ortese, the last woman to win was Melania Mazzucco, in 2003. The facts in the article were drawn from research by Fondazione inGenere, which monitors the gender imbalance of the prize. InGenere found that the Strega Prize “works as a multiplier of copies sold (by up to 5 times) and guarantees a long stay on the bestseller lists … Only the winners get this big a benefit.” Since the feminist wave in the seventies, long lists and short lists have increasingly featured women, and yet there’s been no increase in the rate of women winners. “In climbing the ladder, women hit the so called ‘glass ceiling.’ They are pulled back by cultural and positional resistance. These invisible barriers are apparently unbreakable and independent on the actual qualities of women.” This data-based take on the matter is refreshingly clear and helps question the Italian male intellectual’s mindset. So maybe the cold approach—numbers and rules—can have very human consequences. InGenere published a study on the 2018 Turin Book Fair (with whom they partner), while it was taking place this past May. Apparently the biggest room at the fair (600 people) only hosted 20 percent of women panelists. That rose to 28 percent for rooms in the range of 200 to 350 seats. For 60 to 150 rooms, 35 percent. A healthier 40 percent for rooms with less than 50 seats. The disparities are so evident, when shown numerically, that there is exhilaration simply to writing them down. I need to add that, as a part of the editorial committee, I was hosting more than ten events and I only ever introduced one author: incidentally, that’s Helena Janeczek, and that was in one of the small rooms. The fair’s editorial committee took it in stride and announced a more careful balance in next year’s fair. But the struggle continues. The author Michela Murgia is playing with the notion with her popular Twitter hashtag #solomaschi, meaning “only males.” She’s been posting page one of La Repubblica and Il Corriere della Sera regularly, circling the bylines. Page ones are often men only, and men’s bylines are the overall astounding, embarrassing majority. Some people simply hadn’t noticed, of course—but now they might.